If you’re considering divorcing your spouse you may also, depending on your circumstances, have considered making a separation agreement. Although a separation agreement is not a divorce, it can avoid acrimony later on when (and if) you and your spouse decide to get divorced. 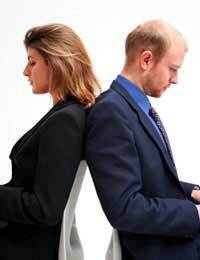 A Separation Agreement is made between couples who are separating or divorcing. Issues such as child custody, visitation rights, maintenance, property division and possession of the family home can all be addressed, which makes the process of the eventual divorce much less contentious. Although separation agreements are usually made without court intervention, the terms of the agreement are binding on each party until such time as the couple decides to divorce. When it comes to divorce, the couple can simply apply to the court to have the terms of the agreement formalised at that stage. Although couples who make a separation agreement are technically still married, the terms of the agreement are settled between them rather than through their lawyers. The majority of divorces are contested on the basis of a disagreement over allocation or proportional ownership of property. As issues over property are dealt with in a separation agreement, the divorce process is usually less costly, less acrimonious and may be undefended. If there are children involved, the separation agreement gives them time to adjust to the new arrangements without having to witness the anger and bitterness that can come with a contested divorce. If both parties are happy not to divorce, a separation agreement formalises the terms of their separation. If required, they can still decide to divorce later on. A separation agreement can be a good alternative to a divorce if there are no grounds for divorce (which in England and Wales are adultery, unreasonable behaviour, desertion, separation for two years with consent to divorce or a five-year separation without consent.) If either party wishes to divorce after making a separation agreement, this will usually be allowed after two years. Contact an organisation that belongs to the United Kingdom College of Family Mediators. Once you have a mediator in place, you and your spouse are in a position to contact your respective solicitors to commence the separation agreement process. It is important that you consult with your solicitor, as part of the separation agreements requires you to confirm that you have taken legal advice in relation to it. This is particularly important if, for example, you have agreed to accept a lump sum from your spouse in return for your share of the family home. As it is possible to apply to the court to vary or add to a separation agreement, the agreement that you make in the first instance is not a cast iron guarantee of the outcome of your divorce. However, courts do take separation agreements into consideration during the divorce process. Applications for variation are considered by the court in light of other information such as how the agreement came into existence, the conduct of both parties at the time (e.g. whether one party was not frank in disclosing all his or her assets) and the conduct of the parties since the agreement was made, such as whether and to what extent they have abided by the agreed terms. Is it possible once a petition for separation has been issued, for it to be retracted? @eddiejohn - it depends upon the assets, for instance sometimes a house takes a while to sell and you have to sit tight and wait. But if it is assets that are easily accessible and transferable and she is refusing to transfer them, then it sounds like you need to get some legal advice. Perhaps in the first instance you can ask them to draft a letter saying that if she doesn't release the assets then you will take her back to court. What happens when a divorce settlement has been agreed in court ,but one party refuses to release half of the assets ?